Are you thinking about upgrading your smartphone? Apple’s next range of iPhones have almost arrived. The follow-up to the iPhone X is set to cover three new devices, all featuring the same face detection and button-free design that users have grown to like. To help offset some of the costs you can sell your old iPhone to get the best price. Selling and trading through Gazelle is a simple, smart and safe way to earn extra cash. Find your item on www.gazelle.com. If the item is not on the website, unfortunately they do not accept it. Please do NOT select an item if it does not exactly match your item exactly, they will not be able to offer you anything for it. Once you've found your item, let them know what condition its in by answering a few questions. Please remember the rating of "Flawless" would be for an item which appears and functions as if it has never been used. If you like their offer just complete the checkout process and tell them how you'd like to get paid: Check, PayPal or Amazon.com gift card. Shipping is FREE! They'll even send you a box for qualified orders (small electronics over $30.00). Their offer is good for 30 days but the faster you send it in, the quicker you'll get paid. Once your box has been received, the Gazelle team will check out the contents and pay you quickly. Please note: If what you send in does not match the condition you described online, you will be given a revised offer. You'll have the option to decline the new offer during a hold window of 5 days. If you decline the offer they'll send your item back to you and pay for the shipping. Don't worry if you prefer a Samsung Galaxy instead of an iPhone Gazelle has you covered. 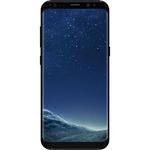 Right now you can get 10% Off Samsung Galaxy Devices. This offer ends on September 3, 2018. Head on over to Gazelle and find out more about the new iPhone launch plus more! 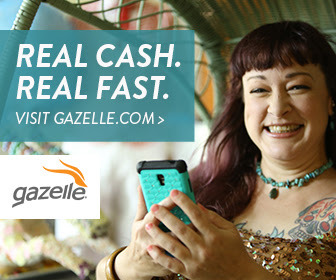 I haven't heard of the website Gazelle before. Based on your description of its services it seems like a great idea to check it out. Thanks for sharing this. I haven't used Gazelle before but I've heard it on radio spots! Thanks for the heads up about phones- it is almost time for me to grab a new one. I think I may check out Gazelle before heading to the phone shop this time! 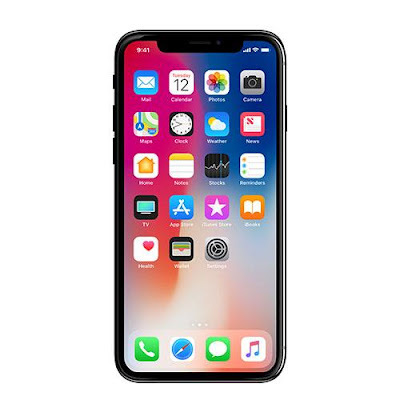 This site sounds amazing for shopping for a new phone. At first I was almost bummed but then you mentioned they offer Samsung Galaxy devices as well. I am an oddball and have a Samsung, lol. This website Gazelle sounds so interesting. I would love to check the value of my phone. It's really beneficial to get some amount of your old device. Their services are really good. Thanks for sharing.!! I'm in need of a new iPhone soon, I still have the 7 I believe. Going to check out Gazelle! At first I didn't like that they made the new ones with no button but my brother in law said he actually loves it and would never want to go back. I have used sites like gazelle, and they work well till now. Will sure check this one out too.